Apeiro partners with clients to deploy software they can trust. 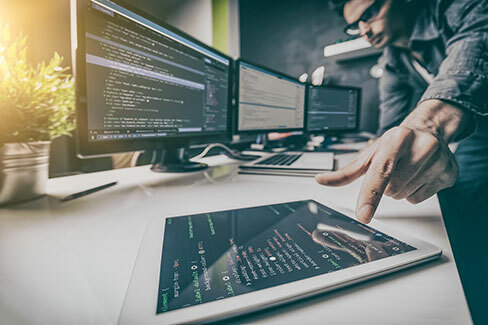 Our testing team first fully understands the business needs, works in agile, waterfall or hybrid environments, develops automation frameworks and writes test cases. Our clients benefit from test automation in areas where regression tests are repeated often, tests which can be completed automatically with no human intervention, tests which are expensive to run manually and tests which require multiple user roles to execute. We collaborate with our clients to determine their needs for performance testing. We analyze all user scenarios and transactions with performance times for each transaction. We compare actual results to desired performance requirements or SLAs. We also perform performance results for application/web servers, database servers, the network and other components and prepare extensive reports on the findings including expert-level opinion, root cause analysis, courses of action for tuning/optimizing the application and architecture. We have extensively used HP Loadrunner, IBM Rational Performance Tester, Microsoft Visual Studio Load Tool, Apache JMeter, etc.